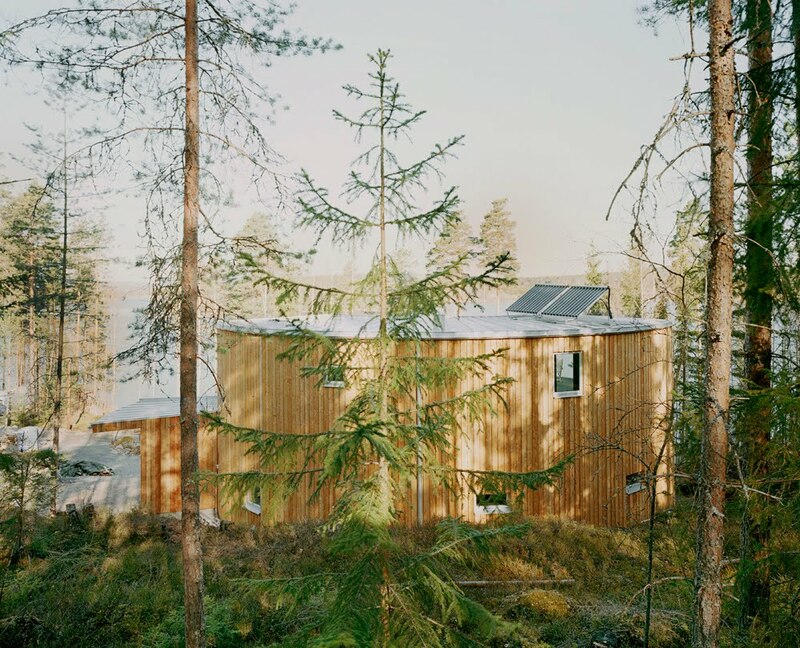 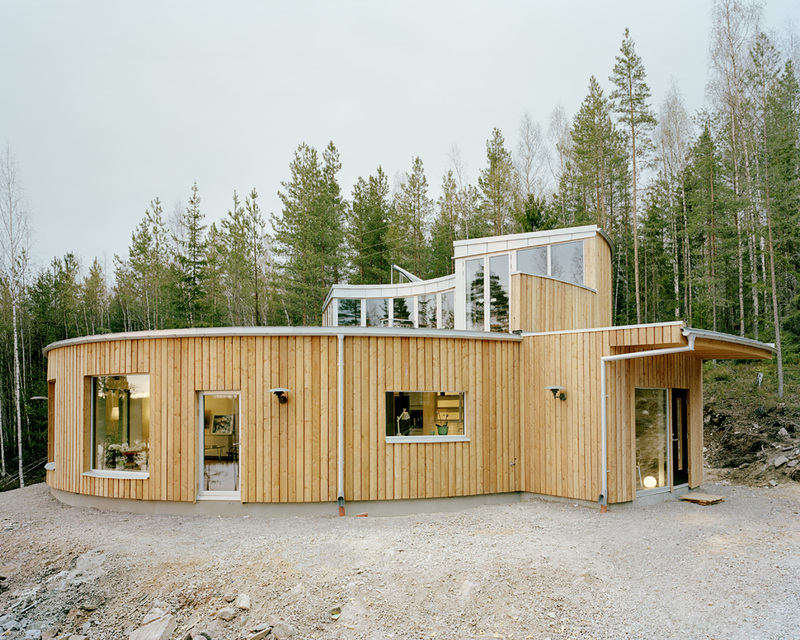 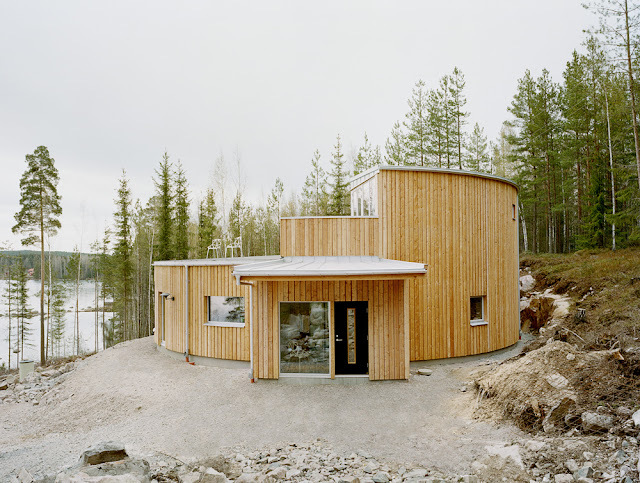 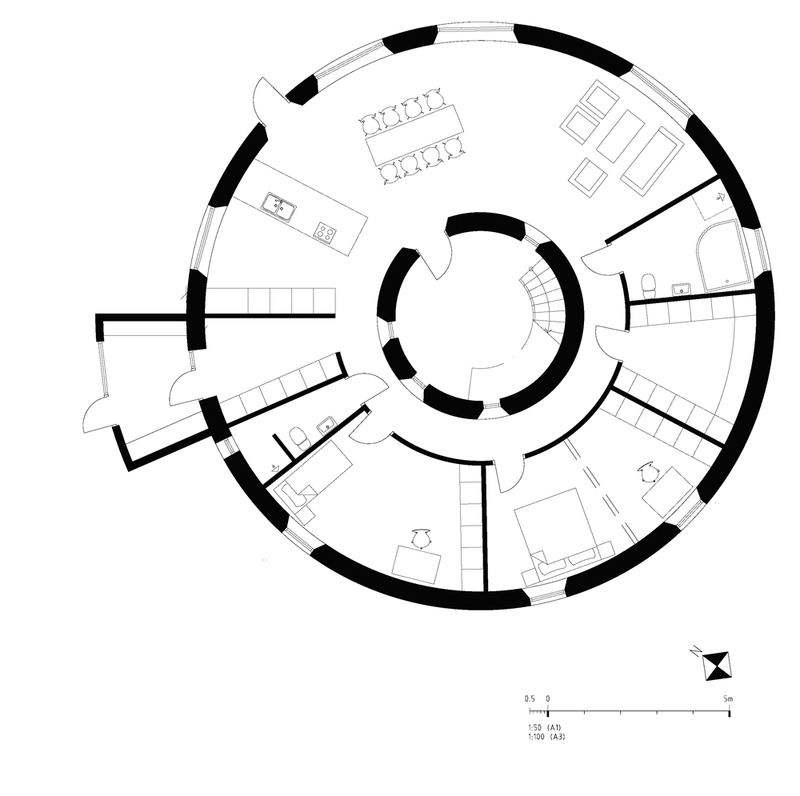 Villa Nyberg - round passive house is the first eco friendly home designed and built as type house in Sweden. 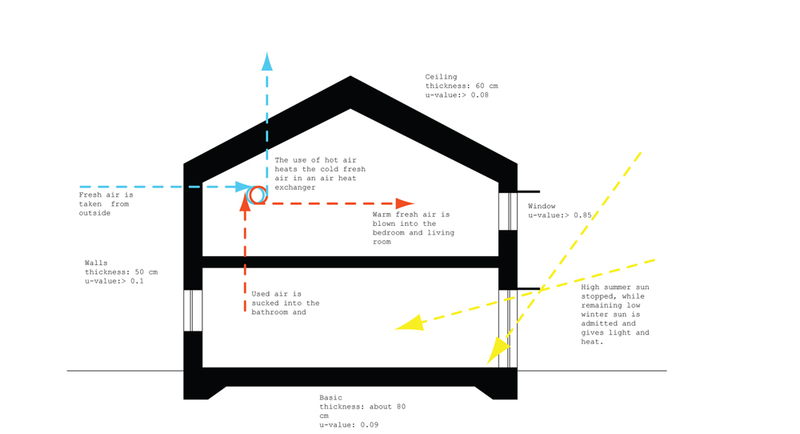 This is the first attempt to make passive house technology available for all. 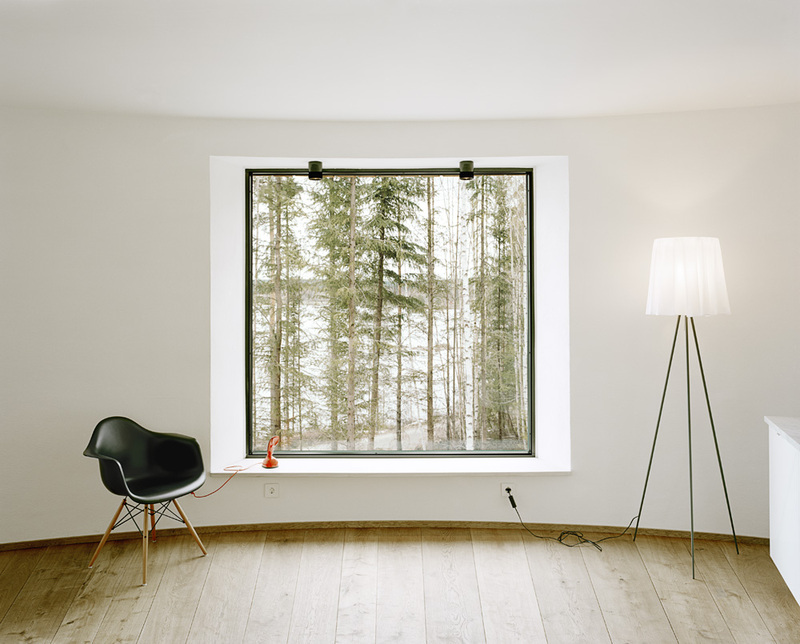 The house is situated near a fur forest and the kitchen and living room open up towards the superior views of the beautiful lake. 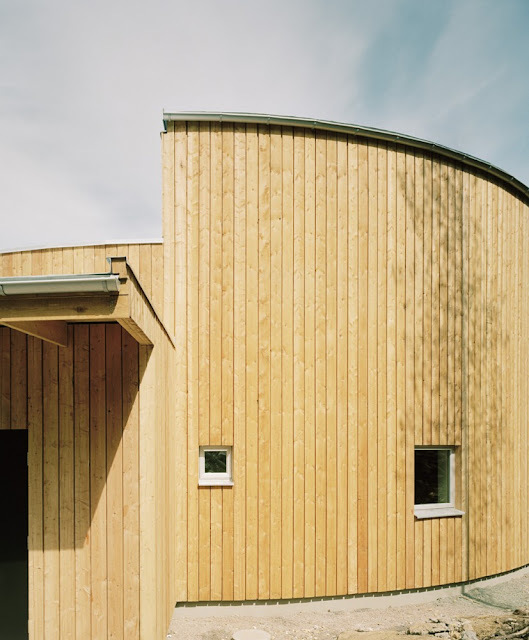 The architectural plan is designed in accordance with the movement of the sun over the day and the walls have round shape to eliminate the risk of heat losses through cold bridges. Passive houses are largely heated by the energy present in the building – household equipment and people generate a lot of energy. This well-insulated house has only 25 kWh/sqm of annual energy consumption for heating.